“Yes, Dad! I’m coming!” I quickly pulled aside my seaweed hangings—which are decorated with lots of little shells and human trinkets and hang across the threshold of my room to give me some privacy—and dashed into my room with Bubbles at my side, scrutinizing the entire space to make absolutely sure that I hadn’t missed anything. I had packed my comb, various flower pieces for my hair, my lucky pearls and shells, my favorite human objects, and a few other important things. I still couldn’t believe that I was actually going to the MerCouncil! I nearly screeched out loud just thinking about it! I really did screech when my mother first told me about it two days before. After I saw a human wearing a mermaid tail a few weeks ago, I quickly rushed home to tell my parents. They were just as astounded as I was! Then they shut themselves in Dad’s throne room and wouldn’t let me come in at all! How unfair is that? I tried listening with a conch shell, but I think my dad knows me too well because he had some of his guards come by the door. They were “under strict orders not to let anyone near.” I may or may not have “accidentally” thrown a wave at them for that. Soon after their meeting, my mom and dad invited me into the throne room. 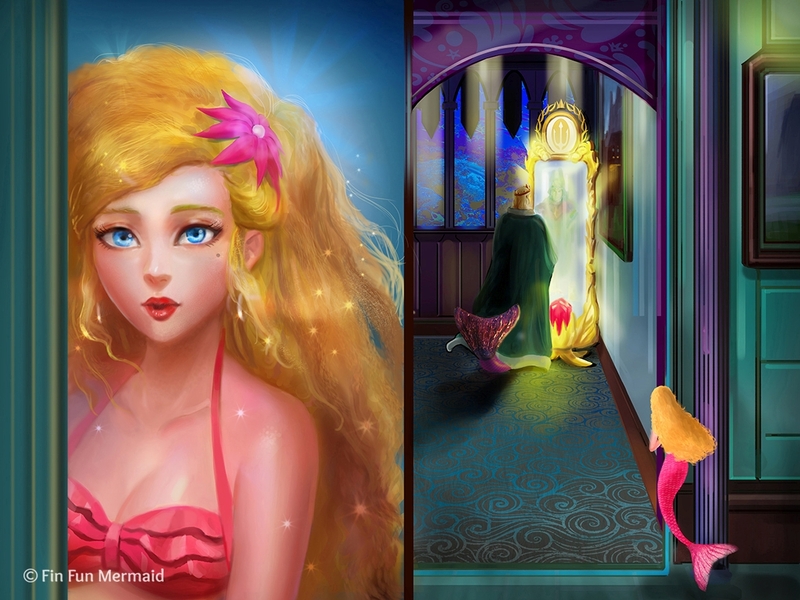 They thanked me for telling them about the human girl and her removable tail, and they told me that this was going to change a lot about the MerWorld. I was a little confused about how until they told me that they had just contacted the MerCouncil. I knew that it was a big deal then. The MerCouncil only deals with the important stuff. Oh, I forgot to tell you about how they were able to contact the MerCouncil! See, it’s a really big deal to see the MerCouncil, and it takes some time to get a conference with them, so if you have something important to tell them it would take a while. That’s why each of the seven MerKings has a big mirror that they can use to talk to the MerCouncil or other MerKings instantly. They aren’t allowed to use it except for important stuff, though. I’ve seen my dad use his mirror. He just says the name of who he wants to talk to, and all of a sudden, there they are in the mirror. Except it only works if the other king is standing in front of their mirror, too. That’s why all the MerKings keep their mirrors guarded by their most loyal and trusted guards. 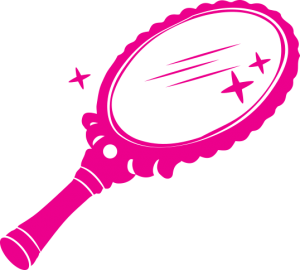 If the king is contacted by someone with the mirror, then one guard quickly informs the king. It’s a pretty good system. So the conference was all very hush-hush, but then they told me that we would be attending a gathering of the MerCouncil in two days! They told me that I would have a special job to tell the Council members everything that I remembered about that day. I’ve been practicing my speech ever since. I love to talk in front of merfolks! I don’t get nervous at all! 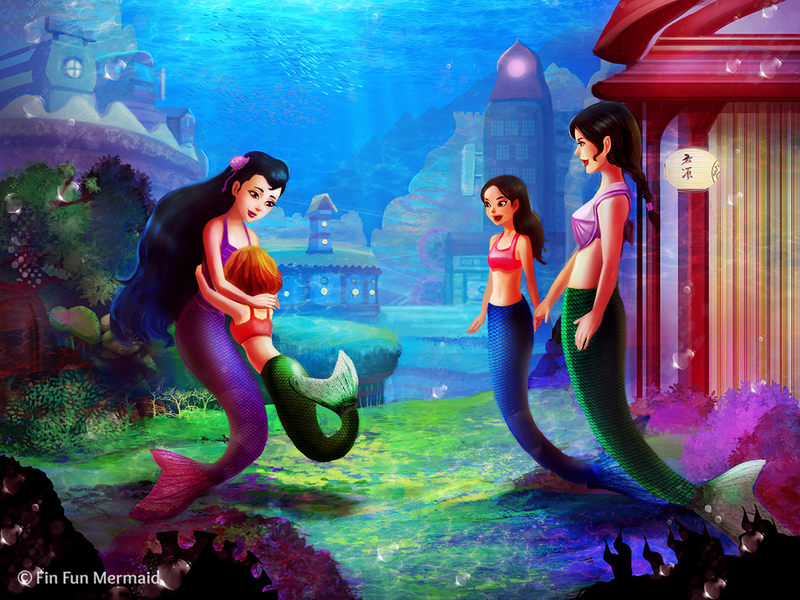 Also, my parents told me that all the other royal Mermaidens would be there, too! I am so excited to see them! 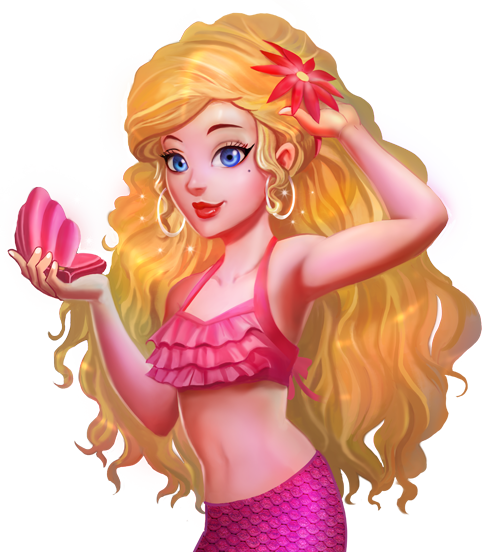 I haven’t met many of my fellow princesses, but I have met Zoey, the Australian Mermaiden from the Coral Sea. She’s a real pearl! We met two years ago when our kingdom was in a little bit of trouble with a jellyfish invasion—they were everywhere! They were stinging mermaids and humans alike! Zoey has power over animals, so she drove all the jellyfish away. After that, my father let Zoey and her parents stay as our “honorary guests” for two weeks! We had a great time together. Zoey loves to play hide-and-seek. We played all afternoon every day and I let her splash through my waves with her turtle friend, Cooper. Cooper and Bubbles get along really well. 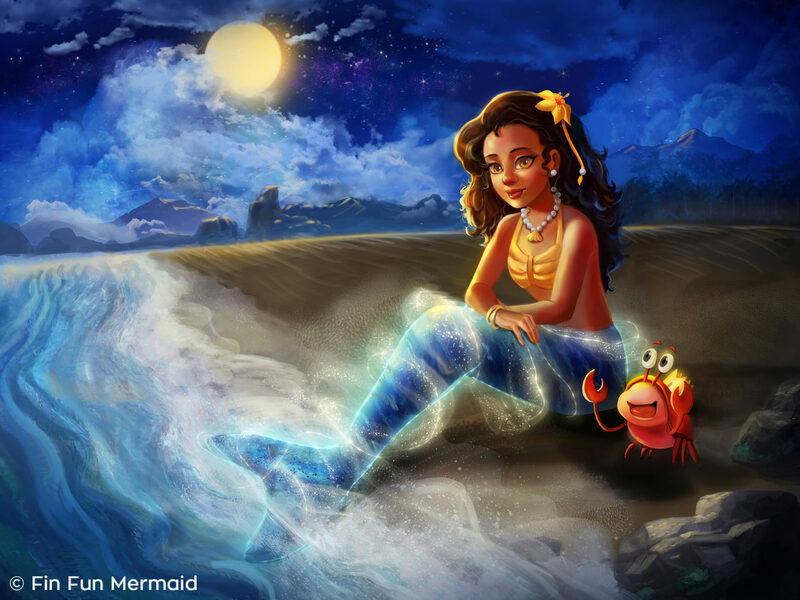 I can’t wait to meet the other five Mermaidens, though! I heard that one– I can’t remember her name–has ice powers! How cool is that? “Waverlee!” My mother’s voice brought me back from my thoughts. My tail is pretty awesome too! It makes me swim x2 faster and suddenly I can beat my tailless sister in swimming races! I LOVE it and use it every time I go to the pool! Thats awesome I love races! That is awesome! 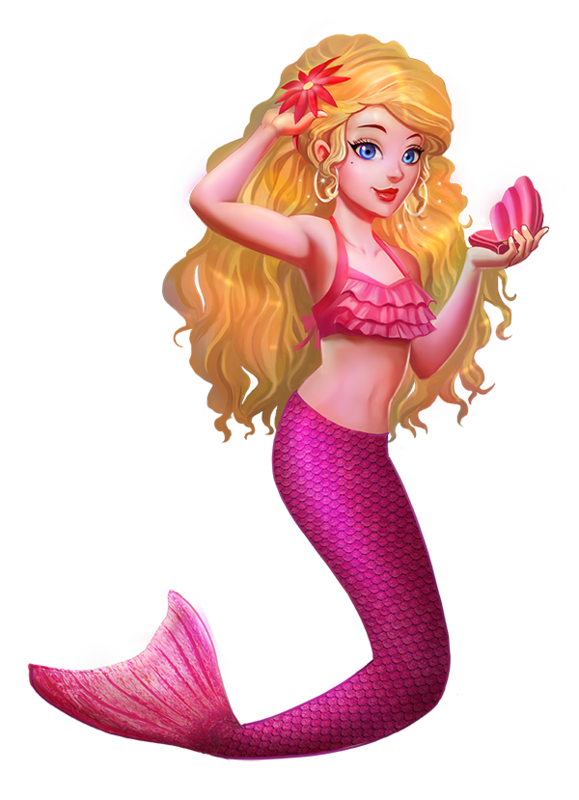 I am the only mermaid in my family, so I always beat them at races! That is, races in the water. Yay first comment! Thanks Y’all for another story!